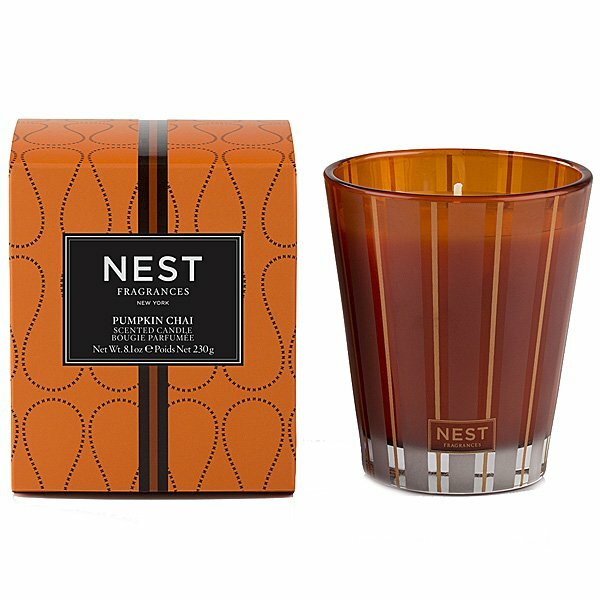 Nest Pumpkin Chai Candle is a mix of wild pumpkin and spicy Masala chai, enhanced with notes of cardamon, ginger and cinnamon. A perfect scent for the fall or anytime of the year! Poured in clear orange glass with classic Nest gold stripes.